Spark your imagination with random shapes that prompt you to bring them to life with a little creativity. Download the PDF and create fun doodles using our starter shape templates, and submit your favorite at the end. What you end up drawing depends on one simple question: What do you see? 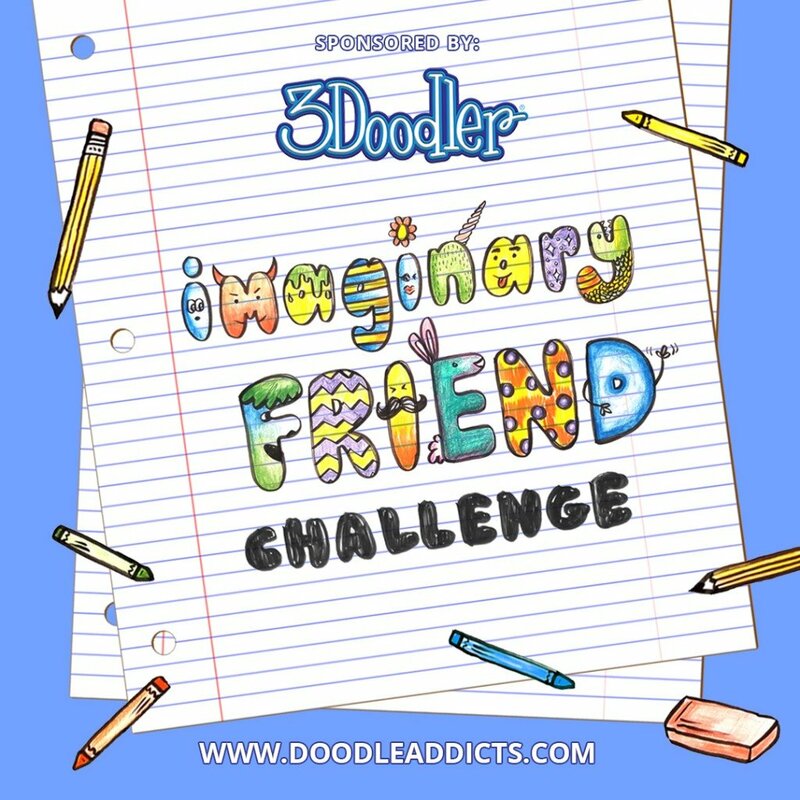 10 Winners will be selected and will recieve a signed copy of Doodle Theory Anywhere! by Nate Padavick. So grab a pencil, marker, crayon, paint brush, or stylus and get ready to doodle your creative magic all over, in, on, and around these random shapes! Nate Padavick has a theory that doodling can open the doors to undiscovered rooms of creativity in your brain. He also understands the intimidation of the blank page. His new book DOODLE THEORY ANYWHERE! (Chronicle Books, 2018) provides the keys to these creative corners. This book is chock full of starter shapes and squiggles that you can turn into fun Doodles. I promise, you will find yourself drawing things you would have never even considered before! I doodled the main shape as a funny forest creature and then I felt it needed some company. Coffee will make your teeth yellow. And happy! I tried to draw many kind of animal into this form, but I liked this bird most. I immediately saw a colourful parrot when I looked at this shape. Too bad you can't do all the shapes because I drew on those too! Under the Stars: Hand doodled in black ink. Young girl enjoy partying with new ribbon on her head. Wonderful moment. A quirky little man on a rather scandalous night out. He's in fishnets, stilettos, and a fedora, and is ready to party. hello guys this is my submission hope you like it ! Monkette loves hanging from the trees and also how the wind moves the leaves. She'd love to have a cup of tea while feeling the pure summer breeze. Does this make my . . . thighs look fat? This drawing I made together with my 5 year old son. At first I planed to print these challenge papers out just play and draw with him but eventually I still upload it up here also. He created the big bow tie and the head and I did the rest. As our subject that time was around the endless waiting for summer we have titled it : " Summer longing!" Lets rock is Dramen in Sketches i Pad. Time is everything.stop waiting for time,time isn't waiting for you. Use your time effectively. Cheshire Cat/Alice in Wonderland...Colored Pencil, Gel Pen, Ink. I did this doodle as a part of the 100 Day project I'm doing—which is 100 days of characters. This one was clearly inspired by 80's wrestling. Two fish kissing...only one got carried away. Fish!! All dressed up in finery with fine lines. The mixed media piece, "Blue Bird" on an ornate wall Sconce, was created with, copic markers, Gelly Roll pens, my favorite drawing pen Pentel Hybrid Technica 0.3, various other pens and a tiny bit of white acrylic paint. The art was created on an original pdf print of the red template provided then photographed with an iPhone 7. Thanks for the fun project and all the great submissions!